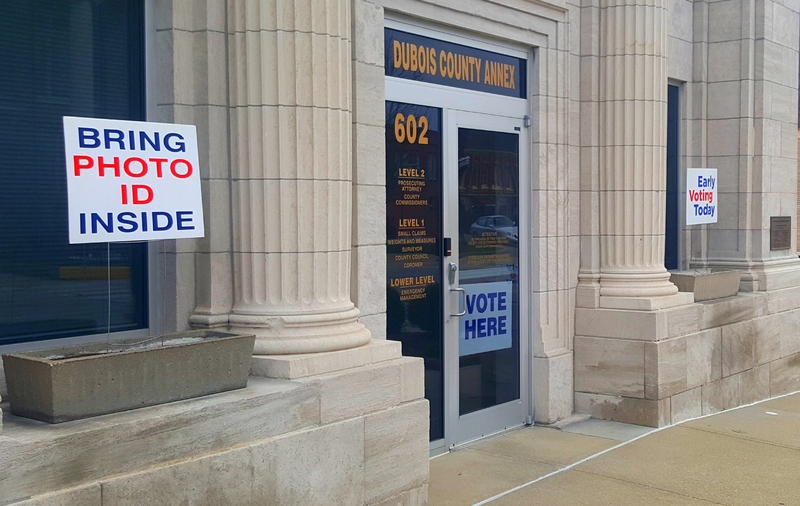 COUNTY WIDE -- Dubois County is seeing a spike in early voting, according to Dubois County Clerk Bridgette Jarboe. As of Tuesday afternoon, more than 1,200 people had cast their ballot at the Dubois County Annex. A significant jump from previous years. Now… local election officials are adding more early voting locations and voting machines to accommodate the increase in early voting. This Saturday you’ll be able to vote at the Annex from 8 a.m. – 1 p.m.
Beginning next week, you can also vote early at the 35th Street Fire Station. From Monday October 29th - Friday November 2nd it will run from 10am - 6pm weekdays. Saturday October 27th and November 3th early voting goes from 8am – Noon.